← Who is Rod Craig? I have a confession to make about who and where I train. First off, I will swim with anybody, anywhere, anytime. I know what you’re thinking and you could be right…sort of. Honestly, the majority of my training takes place at the Harry Jerome Recreation Centre in the City of North Vancouver. The Harry Jerome pool is the same one where I learned how to swim and today is a five-minute walk from where I live. 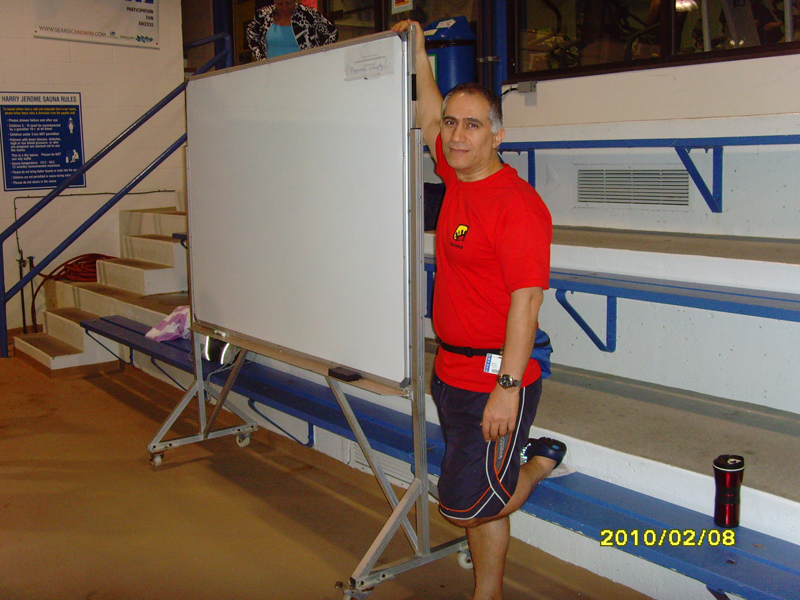 It has a great group of master’s swimmers who are coached by a very dedicated guy named Khosro Mansuri. Khosro hails from Iran originally, and has had an amazing impact on the local swimming community ever since his arrival. His work ethic is relentless, whether he is coaching little kids or masters swimmers. How did the North Van Masters evolve? As legend has it, Khosro (while lifeguarding) met two “freelance” swimmers named David Hobbs and Bill Waymark. 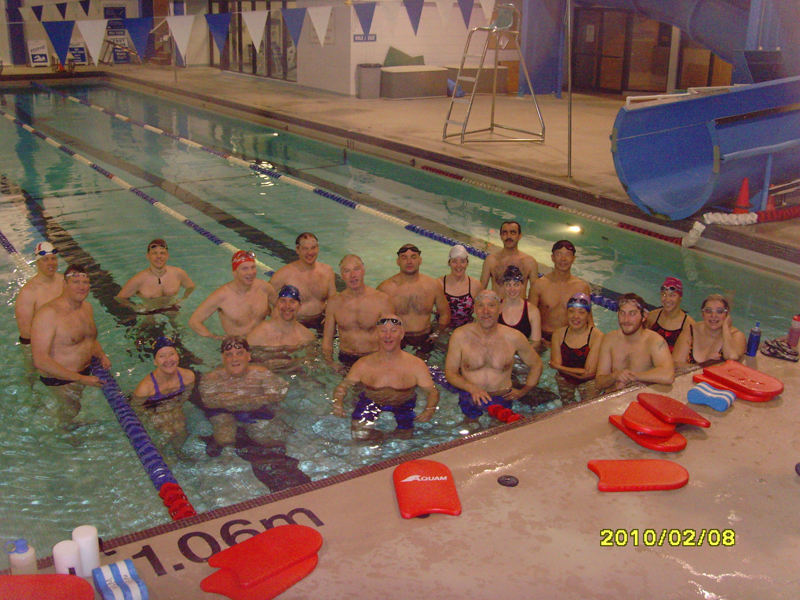 One day, after one of their massive “Ten length” workouts, they pondered the idea of starting a masters swim group. David joked about how this team would speak their own language using only vowels and no consonants, and the younger swimmers would flourish under their reign. Can you believe, twelve years later…Khosro and the two “elders” really did pull it off. If you join today, every lane is filled five days a week – amazing! One last thing, if you want to drive yourself crazy just ask Khosro to sing one of his favorite songs – “I drove all night” by Celine Dion. 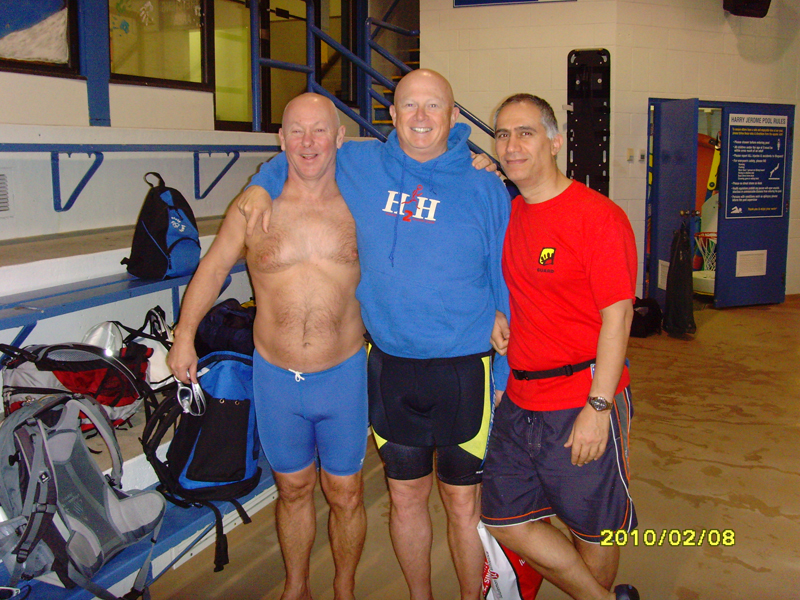 Rod is one of the most coachable swimmers that all Harry Jerome (North Shore Masters) look up to him. He is an excellent role model for me and others.